One way to succeed on a diet is to eat every 3 to 4 hours. But you can’t go binging on chips! This is a list of healthy, make ahead snacks to incorporate into your daily meal plan. If you are planning for success, add some of these to your custom freezer meal plan or make a menu of all healthy snacks if that is your downfall. Keep them close at hand so that you can snack when hunger strikes, but it isn’t quite meal time yet. One note: watch the serving size! Even though these are healthy foods, you will go over 100 calories fast if you eat right from the bag or don’t measure out a serving. 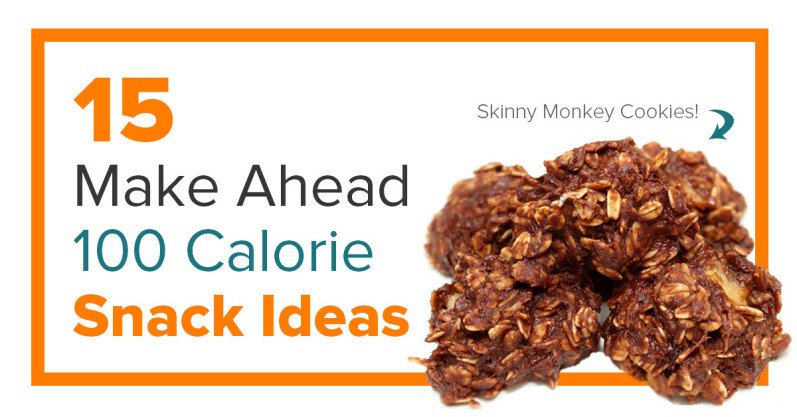 What are your favorite make ahead 100 calorie snack ideas?